Several Tolland Historical Society board members worked on a strategic plan with Chris Dobbs of the PAN (Peer Advisory Network). Working together, board members were able to develop a vision, goals and strategies to carry us through the next 3-5 years. Our results may be viewed below. In five years. 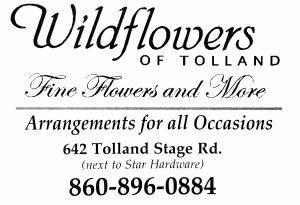 . .
By 2017 the Tolland Historical Society will be a vibrant, vital, and visible community organization with exhibits, collections and programs that attract Tolland residents and visitors from near and far. The three historic sites (Courthouse, County Jail, and Benton Homestead) will go beyond the “traditional” museum mentality to collectively function as a history park that bring the past to life in fun and unexpected ways. The Historical Society will be a “must join” organization. Tolland residents will want to get involved through membership and volunteer opportunities. New programs, exhibits, marketing, and a development plan will all work to entice people to become members in a healthy and engaged museum that not only brings local history to life, but that intimately connects to them on a personal level. Historical Society programs will strive to attract and serve residents of all ages. The Board will strategically find energized volunteers to sit on the Board and help run many of the current and new initiatives. These volunteers will alleviate many of the past staffing issues and will lead to succession planning as current volunteers retire or shift their priorities. New volunteers will be allowed to explore their own program ideas, bringing freshness to the Historical Society’s offerings, and will be used to strategically connect to different populations within the town. Greater financial security will be achieved through a comprehensive development plan that systematically expands the organization’s membership and donor base. Individuals, foundations and at least one new gala event will be identified and developed to raise needed funds. Programs will also be developed with an emphasis on building attendance, raising income, and “friendraising.” These initiatives will help place the organization on a better financial footing. Emphasis will be placed on the Historical Society’s collections. Adequate volunteer staffing will be achieved to support and maintain the long-term preservation, staffing, and planning of historic assets. A disaster plan, collections plan and policy will each be developed to ensure best practices for collections. The collection will be fully integrated into a collection’s software that allows for many of the images to be searched online. Other online and media outlets will be used to present and share the town’s history and the Historical Society’s collection. Through these methods, the public will receive greater access to the organization’s collections and will build a stronger appreciation of the Town’s past and the Historical Society’s value. 1. Strengthen Financial Security – An improved financial position will be achieved by creating and implementing a development plan that thoughtfully incorporates ways to diversify income sources. 2. Increase Engagement of People – A more active membership and volunteer core will play a greater role in fundraising events, embracing new ideas and concepts, developing inclusive history programming that engages a broad audience, and filling key staff and board roles. 3. Expand Programs and Optimize Collections – New, innovative programs set forth in a thoughtful plan will bring the three museum sites to life in fun and engaging ways that attract youth, families and history buffs while the historical society’s collections will be better organized and preserved to maximize their effectiveness and long-range preservation. 4. Build Public Awareness – Increased branding of the organization and clear and consistent public communication will build visibility of membership, programs, financial support and the historical society’s resources. Goal 1: Strengthen Financial Security – An improved financial position will be achieved by creating and implementing a development plan that thoughtfully incorporates ways to diversify income sources. 1) A comprehensive development plan will be created that incorporates membership, donor cultivation, planned giving, annual appeal schedule, grants and foundation support, and fundraising events, etc. Special emphasis will be placed on diversifying income sources. a) Possible funding for this could be achieved through the Hartford Foundation for Public Giving’s Nonprofit Support Program. 2) A new gala event will be developed to replace some of the Historical Society’s discontinued fundraising events and to take the stress off of the Antique Show as the only significant money maker. This gala event should be designed to not only raise money, but to also build visibility and friends. 3) A dedicated fundraising committee will be established to regularly review and implement the development plan. New members/volunteers will be approached to be part of this committee. While the committee will be responsible for overseeing the plan, it will remain the ultimate duty of the entire Board to ensure that it is properly implemented and supported. 4) Membership fees will be regularly reviewed by the Membership Committee (see Increased Engagement of People) and compared to other historical societies in the region. Where possible, rates will be increased accordingly to reflect market price. 5) “Fun” raising gala will be developed to create new friends within the community and build visibility. 6) New methods to produce revenue will be pursued. One such way will be to promote the Historical Society’s sites as event venues for meetings, parties, and special occasions. a) One Board/volunteer member will be assigned to overseeing facility rentals. b) Fee structures, contracts, insurance, and staffing will be reviewed by the Board before the sites are promoted. 7) All existing programs will go through a cost/benefit analysis to assess and review their current viability and possibility for future income and sustainability. 8) New programs and events will be developed with the intent to raise needed funds. This will be done in tandem with the strategies outlined under Increase Engagement of People. 9) Other museums outside of the immediate region will be investigated for successful events. Goal 2: Increase Engagement of People – A more active membership and volunteer core will play a greater role in fundraising events, embracing new ideas and concepts, developing inclusive history programming that engages a broad audience, and filling key staff and board roles. c) Determining methods to engage members so that they take a more active role in the organization and reduce the burden of the Board. 3) Identify new people (working and contributing). a) If needed, pursue grants to ensure ADA accessibility and adequate HVAC controls in public meeting spaces. 6) Expand volunteer core through planning and using programs as ways to reach more people. a) The Board of Directors will be comprised of members with responsibilities that are essential to the success and operation of the organization. b) New Board Members will be identified/cultivated to represent town demographics. Goal 3: Expand Programs and Optimize Collections – New, innovative programs set forth in a thoughtful plan will bring the three museum sites to life in fun and engaging ways that attract youth, families and history buffs while the historical society’s collections will be better organized and preserved to maximize their effectiveness and long-range preservation. i. Possibly developing an overnight program geared around crime and punishment where Scouts spend the night in a cellblock. g. Develop ways to connect to “history hobbyists”. i. Find and provide an outlet for unfulfilled niches of interest i.e., pre-school programs during the week for children and parents, clubs, social organizations, etc. 2. New programs will be developed that emphasize the Society as a unified organization. These programs will focus on town’s heritage and will be in addition to those that are site specific at the museums. a. A survey to members/possible constituents will be developed to find out the program times and topics that would most interest them. a. A good starting place would be the Old York Historical Society in York, ME. 8. A wish list will be created to fill in missing collections areas. This will be shared with members and possible donors. 9. A collections policy and plan will be developed to ensure that best practices are followed for the museum collection. a. Consideration will be given to applying for AAM’s CAP and/or MAP assessments. 10. A collection’s software product such as PastPerfect will be acquired to better organize the collection and share it online. a. This and other technology needs might be supported through a Technology Grant from the Hartford Foundation for Public Giving or a grant from the Connecticut Humanities Council. 11. The creation of a disaster plan will be completed to ensure the safety and security of the museum sites, the Historical Society’s collections, and the public. 12. 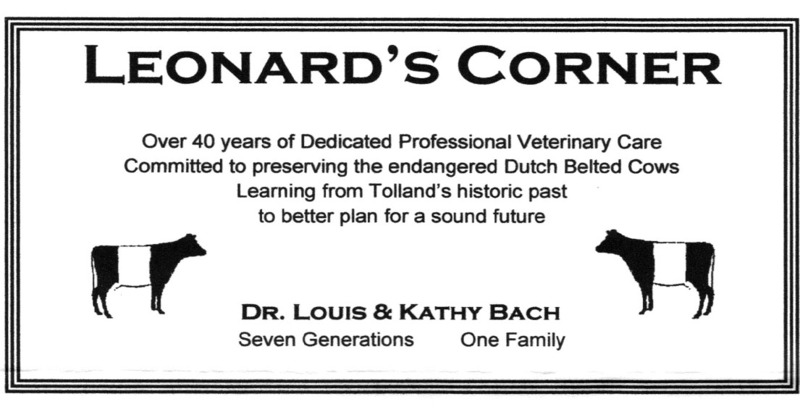 Three books on Tolland history will be completed in time for the Town’s 300th anniversary programs. 13. Explore more activities that involve people in town: open house, dress up day, fundraiser, colonial foods day…. 15. The Historical Society’s photographs will be scanned and organized into a software system that can be integrated online. 16. A long-range plan will be developed for each museum site that identifies physical needs, programming, staffing, and interpretation. Goal 4: Build Public Awareness – Increased branding of the organization and clear and consistent public communication will build visibility of membership, programs, financial support and the historical society’s resources. 1. Develop a detailed marketing plan that will promote the uniqueness of the Tolland Historical Society, its programs, and its resources in a way that excites and engages a broad audience. 2. Develop a greater online presence. Create additional promotion through internet, etc. a. Place collections online so that more people become aware of the Historical Society as a vital historic resource. b. 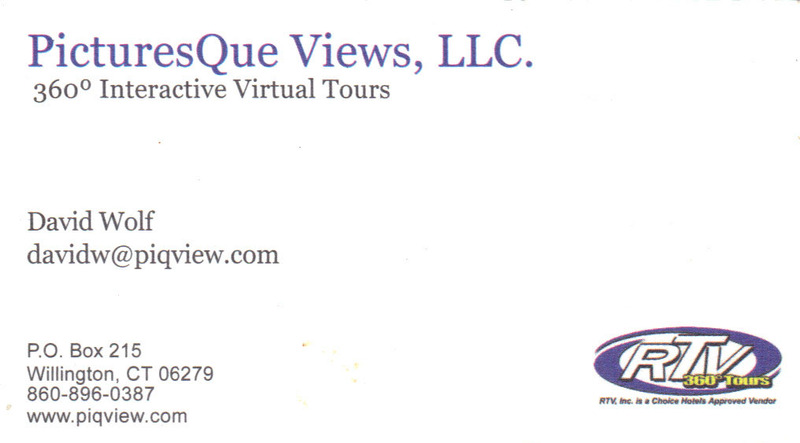 Creation of Virtual Tour of the museums to act as a teaser for people to come and see the three museum sites. c. Utilize YouTube as a way to promote programs, exhibits, and other activities. 3. Identify a Publicity Volunteer to oversee marketing efforts. 4. 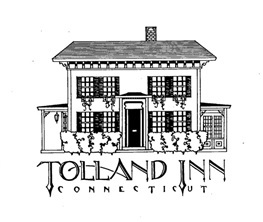 Create a historic house plaque program for Tolland Houses as a way to celebrate local history and build public awareness of the historical society. a. Review how other historical societies mange a program such as this with a clear understanding of the resources that it will take. 6. Increase electronic communication with website, expanded email list, and other organizations. 7. Develop a greater presence with the community through new programs, exhibits, and collaborations.